Posted on Friday, May 3rd, 2013 by UNCG Research. 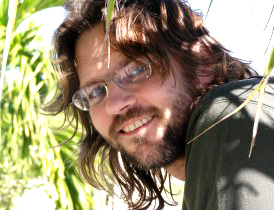 UNCG Research congratulates Dr. Jan Rychtar on his $26,360 Mathematical Association of America (MAA) award. The funding will support his “Game Theory and Applications” project. Specifically, the MAA funding is for a National Research Experience for Undergraduates Program (NREUP). The MAA, through its Strengthening Underrepresented Minority Mathematics Achievement program (SUMMA), supports the participation of mathematics undergraduates from underrepresented groups in focused and challenging research experiences to increase their interest in advanced degrees and careers in mathematics. NREUP is structured both to increase undergraduate completion rates and encourage more students to pursue graduate study by exposing them to research experiences after they complete their sophomore year. NREUP is designed to reach minority students at a critical point in their career path – midway through their undergraduate programs – through an undergraduate professor with whom they have a strong connection. At this point in their studies, students have a strong background in calculus and a course such as linear algebra or differential equations with some degree of exposure to the proof-based mathematics needed prior to undertaking a research project. The program reaches students at the transition point between lower division and upper division studies. As course work becomes more abstract and students are required to work independently, many promising students are not able to adjust to the demands of a major in mathematics. Providing mentoring in a challenging summer program will support students as they cross this juncture. NREUP provides key components to encourage students to pursue graduate studies and careers in mathematics – enriching and rewarding mathematical experiences, mentoring by active researchers, and both intellectual and social networking with peers. During the 6 weeks from May 6, 2013, to June 15, 2013, we will engage 5 African-American female undergraduate students from Bennett College, Greensboro, NC, in research projects. The students will work in pairs under the supervision of project directors Jan Rychtar (UNCG), Tsvetlanka Sendova, and Hyunju Oh (Bennett College). We will introduce the students to fundamental game-theoretical concepts such as Nash equilibria and evolutionarily stable strategy and teach them how to use computational tools (such as a freeware program NetLogo) as well as analytical tools (optimization and linear algebra) to identify such strategies in real game theoretical models with applications in biology or medicine (such as Asian Carp invasion in Mississippi River or emergence of invasive tumor cells). The students will further be trained in all aspects of research, starting with the ethics code, going through the workshops on using library and online resources, and ending with training in delivering oral presentations as well as in using LaTeX to write mathematical papers. We expect that each pair of students will submit at least one research paper and present the finding during at least 2 conferences (held in NC, Fall 2013). 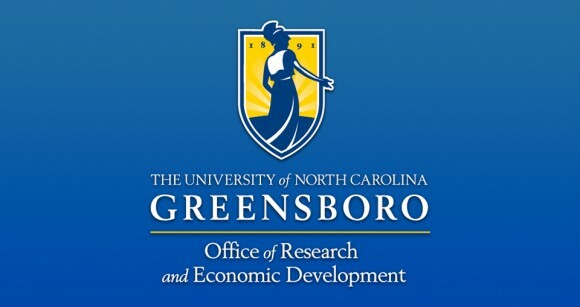 Also, the program directors intend to write a paper on the NREUP experience and hope that this project will be the beginning of a broader collaboration between UNCG and Bennett College.